Google has announced a new project, Google+. And it's a big one. If you're confused about what it is and how it might fit into you life, read on to find out more, plus we've got full details on the services, when you can sign up and what it means for Facebook, Twitter and more. At a basic level, Google+ (or Google Plus) is an attempt by Google to reinvent the social network on mobile and one the web. Google+ is based completely around the concept of sharing – not just links and photos, but also to get interesting info sent to you as well as participating in video chats. "Google+ is a project that aims to make sharing on the web more like sharing in the real world: you share different things with different people," says Google's Vic Gundotra. "We started the Google+ project to see what a Google approach to sharing would look like, and to see if we could come up with a better way of connecting with the different people in all of our lives." A social network, then. What are the Google + services? Google+ is actually comprised of a whole batch of different services, each with their own logo which you'll see in the Android and iOS apps for the service. Circles: "Share the right things with the right people." Circles enables you to put your online friends into a number of 'circles' and then you simply choose what circles you want to share information with. Sparks: "Get videos and articles about stuff you're into sent directly to you, so when you're free, there's always something to be watched, read, or shared." Sparks is a place where you can share content quickly and easily. The way Google explains this part of Google+ is that it's "kind of like nerding out and exploring a subject together". Hangouts: "Pop in and out of video hangouts anytime, from anywhere. Chat with up to ten people in HD." This is where you can link one to one or as a group with friends from your Circles collective, and speak to them via video. As you can do group video conferencing, this has Skype and Windows Live Messenger as competition. Mobile: "Access all of the features of Google+ from anywhere, plus some fun new ways to share." Instant Upload: If you allow Google+ to, then every picture you take on your mobile will be uploaded to a cloud server, so your images are instantly available to your Circle clique. Huddle, which is a group messaging service that links into Google+. Huddle: Making group plans? Turn multiple conversations into one simple group chat. Are there Google + mobile apps? Yes. Google+ is available on Android Market and the mobile web, and it's coming soon to the App Store. "Online sharing needs a serious re-think, so it's time we got started," says Gundotra. But is he right? We're not too sure - after all, how hard is it to send something to Facebook or Twitter? Google obviously doesn't agree. "Today, the connections between people increasingly happen online. Yet the subtlety and substance of real-world interactions are lost in the rigidness of our online tools." What is Google + actually about? Facebook and Twitter are increasingly powerful forces on the web. And Google doesn't get a look in - though Orkut has had success in some countries, it's true. Google wants a bigger slice of the pie - it's already indispensable in search, why not in the sharing of online content? The inclusion of messaging and IM is also interesting - it needs to give Google Talk a boost in the face of increasing competition from Microsoft. After all, the Redmond boys are not only buying Skype but have a formidable presence in IM through Windows Live Messenger and its partnerships with Facebook and Yahoo. 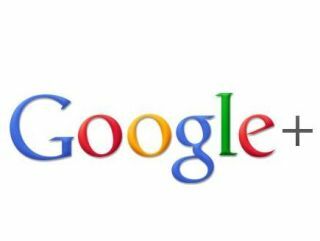 Will Google+ be another Google service that gets dumped after a year? Who knows. Maybe. Certainly Google will be hoping that Google+ captures people's attention more so than Buzz. Or Wave. Or Friend Connect. Or anything else that it's tried over the last decade... It's refreshing to know that even Google isn't always successful even if, at times, it seems like its launch plan is essentially to throw as much stuff at the wall as possible until something sticks. Google+ data concerns: can you trust Google with your data? This is the biggie. And Google knows that people have latent anger with Facebook over it. It's aiming to be squeaky clean here. "You and over a billion others trust Google, and we don't take this lightly," says the Google+ blog post, somewhat cheesily. "In fact we've focused on the user for over a decade:liberating data, working for an open Internet, and respecting people's freedom to be who they want to be. We realize, however, that Google+ is a different kind of project, requiring a different kind of focus - on you. "That's why we're giving you more ways to stay private or go public; more meaningful choices around your friends and your data; and more ways to let us know how we're doing. All across Google." Is this all that Google+ will offer? According to Google, the answer to that is a resounding "no". Google+ launch date: when is it? Google+ is available on a limited, invite-only beta for the moment, so you'll have to sign up and wait your turn. Quite how long it will stay like this is anybody's guess - it's currently being tested internally. No, we can't get you an invite.